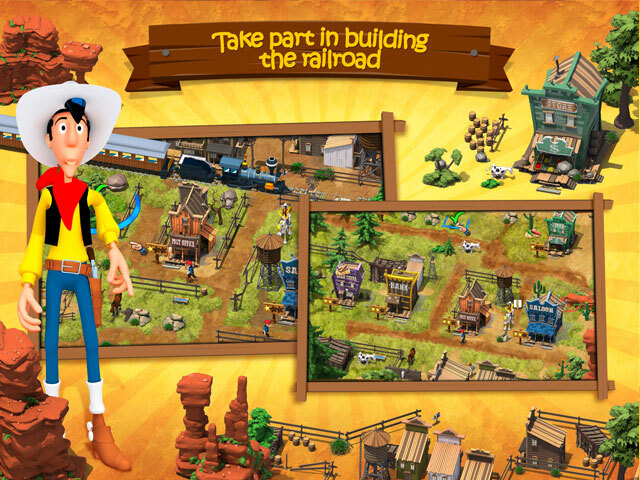 Help Lucky Luke build the United States' historic railroad! Our story begins in the sprawling plains of the Great Basin in the American West. Construction of the railroad has been forging ahead after overcoming the challenge of the Sierra Nevada mountains. 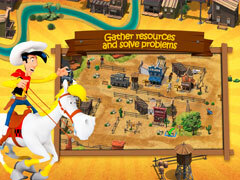 Unfortunately, the railroad has recently been plagued by repeated attacks from the infamous Dalton brothers in their determination to get their greedy hands on the stockpiles of construction resources. Workers are terrified, work has ground to a halt and the railroad is in danger of slipping behind schedule. The West construction team will never make it to the rendezvous on time without your help! 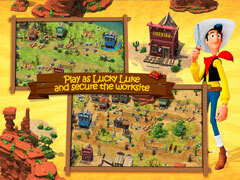 Lucky Luke has been sent to boost the workers' morale and, with your help, oversee construction of the railroad. 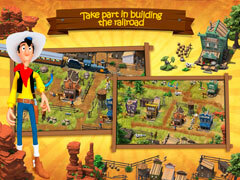 -Use all your ingenuity to successfully build the railroad! -Drive the Daltons away from the worksite!